I need a favor from you all… or as many of you as possible who will have the time. My understanding is that David will appear on American Idol this Wednesday night. May I ask that each of you who can write a comment to this post on Wednesday so that I will not forget to “stay tune” to AI that night. I will get an email alert and then I will remember to have the TV on and enjoy David singing again. For the last few times that David has been on TV, I have been working or missed him for some other reason. I really really NEED to see David again NOW, so if you can and aren’t busy… on Wednesday just add a comment here to this post. Thank you all!!!! Your wish is my command! I will post again here on Wednesday. Turn on your TV. David is going to sing “A Little Too Not Over You”! Wonderful! This will work and I’ll be ready! Don’t forget to post early in the day because of the time difference. Ok.
I’ll try my best to remember. I’ll be working at that time, but luckily, my lunch break is during American Idol. I’ll just have to find a tv that I can watch it in peace. I know what it’s like being so busy that it’s hard keeping up with David. I just crawled out from under a pile of tax returns at my office only to face a house that’s gone unkept for a couple of months and an explosion of weeds in the garden! However, we mustn’t miss David’s guest appearance on A.I. for anything. I hope the ratings go through the roof! 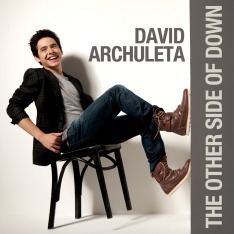 The latest news is that David will be singing “Touch My Hand,” which Jive is releasing as his next single. I have a gut feeling this song will be another big hit! On your mark, set, GO! Set up that VCR and tape David singing “Touch My Hand.” I thought he was going to sing “A Little Too Not Over You,” but his cell phone message confirms that it’s “TMH”. I can hardly wait!!! It’s at 9 PM tonight! I wish I could be there in LA! Thanks Minja for always looking out for us & David!